Broke college students are always looking for two things: ways to save money and music. It only makes sense that the largest illegal music downloading demographic is teenagers and young adults. When students are putting together their last three quarters to get something out of the vending machine, how can they be expected to pay $1.29 for one song? While less than 1 in 10 teenagers believe illegal music downloading is wrong, researchers in the psychology and marketing disciplines think otherwise (Barna). The psychology discipline studies the anticipated guilt and general emotions people feel towards illegal music downloading in the article, “The Immorality of Illegal Downloading: the Role of Anticipated Guilt and General Emotions,” by Xiao Wang and Steven R. McClung. The marketing discipline takes a different approach and studies people’s reactions to the marketing of music and artists and how it influences a person’s decision on whether to purchase or illegally download music in the article, “The Purchase Versus Illegal Download of Music by Consumers: the Influence of Consumer Response Towards the Artist and Music,” by Jean-Francois Ouellet. While both sources overlap in some ways in their explanations of illegal music downloading and the consumer, McClung and Wang’s article uses formal language, third person, a more rigid outline, and more experimental knowledge to prove its hypothesis, while Ouellet’s article uses simpler language, first person, a more relaxed and detailed layout, and more background research to prove its hypothesis. While these articles differ in certain ways, it is important for the audience to understand both articles, as they compliment each other with their implications and could be used together to conduct further research. The first rhetorical difference between the articles is the type of language they use. Wang and McClung’s article uses a more formal type of language since they’re from a social science: psychology. 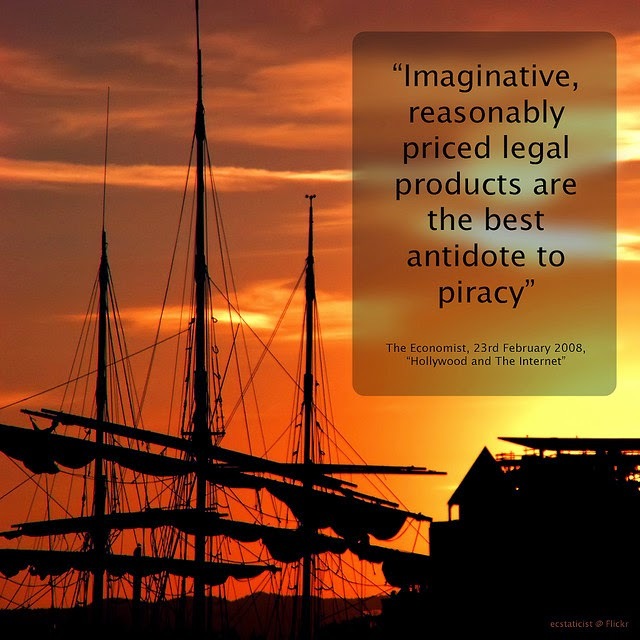 The use of formal language occurs everywhere in the paper, whether its in the introduction, like in the sentence, “Nevertheless, to minimize the potential economic losses, the recording and motion pictures industries have attempted to encourage legal downloading and discourage illegal file-sharing through educational marketing campaigns, providing legal and less expensive alternatives to high priced authentic copies, and waging lawsuits against various websites and individual file sharers,” or especially when reporting the results of their experiment, when they use language such as, “The two comparisons were statistically significant based on independent-samples t tests, t(464.07) = −7.42, p < .001 and t(545) = 7.15, p < .001, respectively” (McClung and Wang). The use of this proper, academic language allows the authors to be seen in a thoughtful light by their peers, and allows the social science audience to better understand the goals of their experiment and the results. Ouellet’s article uses a simpler, less official language since they are speaking from a business standpoint. Their use of familiar language is consistent throughout the entire paper, in sentences such as, “Although certain artists’ albums sell very well and suffer little damage from online piracy (for example, the albums of Star Académie in Quebec), the works of other artists, although they are aimed at the same consumer, rarely break even because of illegal file sharing” (Ouellet). The use of familiar language is a good fit for the marketing discipline, because the aim of “marketing” (the actual act), is meant to be fast-paced. By using a straightforward, no-nonsense style, they allow the people of the marketing discipline the best way to understand their research. In regards to language and style, authors from both articles also use a different point of view that serves their discipline appropirately. McClung and Wang’s article uses a neutral third person point of view which adds to their formal style. They illustrate this point of view in sentences such as, “On the other hand, we also believe that there is variance in the perceptions of anticipated guilt among those who never downloaded or who downloaded a long time ago” (McClung and Wang). The use of the words, “we”, “they”, and “the [subject]”, indicates that this a more scientific article, and that their audience will be expecting a proper style to their research. If this article had been written from a different point of view, it may not have been regarded in the same manner as other scientific articles, and it wouldn’t have the same effect it does now. Ouellet’s article uses a mixture of first person and third person. This is demonstrated in sentences such as, “Subsequently, I discuss the qualitative methods used to understand the process of evaluating music as well as the results of this preliminary research,” for the first person point of view, and, “The results of the CFA indicate that items pertaining to the artists consisted of 6 types of responses, whereas items pertaining to the music comprised 8 response types,” for the third person point of view (Ouellet). The mixture of these two points of view aid the article in creating a more presentational type of writing, which would be used in a business setting, especially during a meeting. This assists the audience of this article, since they are from a business background and are used to this type of language in their everyday lives. If a more formal/scientific point of view had been used, the audience may have lost interest in the article and stopped reading it or threw it out after the first sentence. Another rhetorical difference that sets these articles apart is the way they are laid out. McClung and Wang’s article follows a stricter, scientific outline consisting of five typical parts: Introduction, Literature Review, Method, Results, and Discussion. Other than standard subcategories in each section, the article never strays from its topic and covers everything the audience could possibly need to know about the experiment. There are a few tables in the article that illustrate the results of the surveys, but other than that, the article is all words. Ouellet’s article takes a more laidback approach to organization, having categories, but putting in several subcategories, and categories within the subcategories. Unlike the psychology article, each part is a different length with a different amount of subcategories in it. If something needed to be explained further there was a subcategory such as “emotional responses” and “experiential responses” within the category, “Responses Linked to the Music”. The organization of Ouellet’s article is important to the discipline because through it’s unorthodox layout, it addresses every detail that it needs to in order to create a complete picture for its audience. Building on detail, Ouellet’s article uses several different types of ways to present information including tables and graphics. The last rhetorical difference between the two articles is how the authors prove their hypothesis. McClung and Wang use the traditional system to prove their hypothesis. They start with an introduction with facts about their topic, then move onto some background research to give their reader a more detailed outline of their topic. After that, they spend the time explaining what their experiment will be, what their hypothesis (or hypotheses) is/are, and how they will conduct the experiment. Next, they explain how the experiment fared and what results it produced. Lastly, they conclude with a discussion of the experiment and what it proved and did not prove and what implications it had in their field of study. Taking this route to proving their hypothesis allows them to spend the most time on the experiment, so that they can prove their theories through trial rather than background research. In the sciences and social sciences, this tends to be a common theme, because its easier to prove something like feelings and emotions (as McClung and Wang do), rather than research lots of information on it. Ouellet uses a different way of proving his hypothesis that includes more background research that is detailed and credible, and then he proves his research through experimentation. He begins with a different kind of introduction that is aimed more at hooking the audience into reading the article, using a lot of interesting facts, as someone might do with a business pitch. He goes on to explain lots of similar research that has been done on his topic, as well as research he’s done himself that he believes is essential for the audience to know in order to understand his experiment. He details this background research for a large portion of his article, before he goes into the actual experiment he conducted and the results it produced. Ouellet uses this approach in his article because his experiment is so detailed that his audience may not understand it without the extensive background research. He also uses this approach because the background research goes hand and hand with the implications of the research, as it allows his audience to contemplate if any of the previous research mentioned in the background research section could be used to supplement his experiment and the results he concluded. While both of these articles have different rhetorical styles, it is important that they both be read and regarded together, as the research done by both disciplines could compliment each other in finding a solution for the hypotheses that weren’t proved. Marketing and psychology are quite different disciplines, but a lot of the themes in each of these articles overlaps with the other one. A common theme between the two is the problem of why people illegally download and what motivates them to do it. Both articles look at this problem in different ways, but they end up using each other’s disciplines to try to explain it. 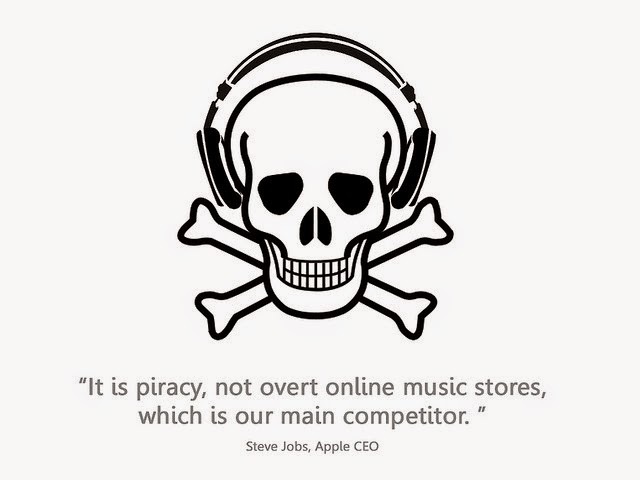 McClung and Wang’s article addresses the lack of guilt people feel towards downloading music illegally and proposes that it might be because there aren’t enough marketing campaigns that discourage the act. Ouellet’s article addresses the factors that influence a person to purchase versus illegally download something through the way a person emotionally connects to a piece of music or what it reminds them of. This is only one example of each article using the other’s perspective to address a problem; there are several more examples in both articles. If these disciplines were to work together on either of their topics, they may find that each other’s research could greatly add to their own and perhaps solve some of the same issues each discipline is addressing. Overall, both of these articles have vast rhetorical differences that allow their work to be properly read by both of their audiences. McClung and Wang’s use of formal language, third person, a more rigid outline, and more experimental knowledge to prove their hypothesis allows for their audience to understand their article in the correct manner. Ouellet’s use of simpler language, first person, a more relaxed and detailed layout, and more background research to prove its hypothesis allows for his audience to comprehend his article to the best of their ability. Even with these differences though, it is still important for the audiences of both disciplines to understand both articles, because it will give them a better knowledge on illegal music downloading as a whole and the implications it could have on both disciplines. Barna Research Group. 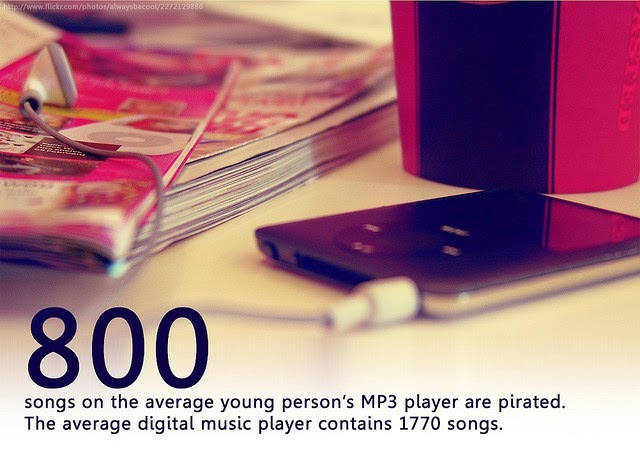 "Fewer than 1 in 10 Teenagers Believe That Music Piracy Is Morally Wrong." Barna Group. N.p., 26 Apr. 2004. Web. <https://www.barna.org/barna-update/article/5-barna-update/139-fewer-than-1-in-10-teenagers-believe-that-music-piracy-is-morally-wrong#.VT1TxaZIBUQ>. Ouellet, Jean-Francois. "The Purchase Versus Illegal Download of Music by Consumers: the Influence of Consumer Response Towards the Artist and Music." Canadian Journal of Administrative Sciences 24.2 (2007): 107-119. Web. Wang, Xiao, and Steven R. McClung. "The Immorality of Illegal Downloading: the Role of Anticipated Guilt and General Emotions." Computers in Human Behavior 28.1 (2012): 153-159. Web.